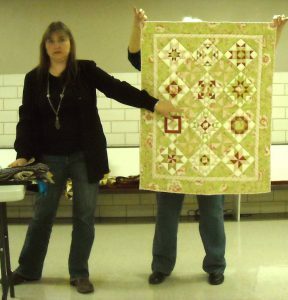 Last November, I did a trunk show for the Prairie Pine Quilt Guild in Mexico, Missouri. I didn’t blog about it at the time because I had just gotten back from Quilt Market the week before, and was in the throes of getting ready to move to Nebraska the week after. But I want to hit some of the highlights for you, because . . .
At Quilt Market, my pal Victoria did her Schoolhouse session, and Pat Sloan and I held all Victoria’s quilts up for her to talk about during her session. 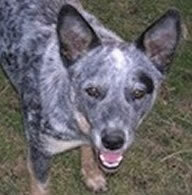 Which left our other pal, Jackie, to run the camera! And we’ve poked fun at Jackie ever since because she always managed to catch Victoria in a shot that either made her look like she was picking her nose, or hiding her face with her hands, or some other such comical freeze-frame image. We got some really good laughs out of it. So when I asked one of the ladies on the front row at my trunk show if she would take some pictures, I figured the same funny thing would happen. You get caught in mid-word or mid-expression, and look like you’re on drugs or about to pass out. 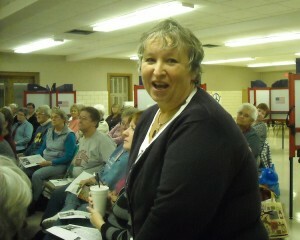 It was raining the night we went, and my buddy, Rose Marie, went along to help me hold up the quilts. So here I am in mid-gesture . . .
. . . mid expression . . .
. . . and mid answering a question . 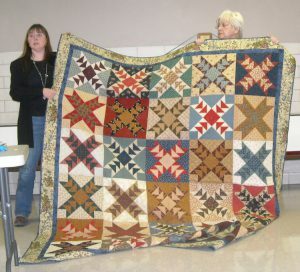 . .
And here’s a shot of some of the quilts I showed them. They requested a trunk show of my own personal work, plus quilts that I have patterns available for, so I took about 35 quilts with me and entertained them (I hope) for about an hour. It was fun! This is Lou. She’s the one who arranged the trunk show. She’s a very active member of this guild, and I’m sure they’re glad to have her in it. 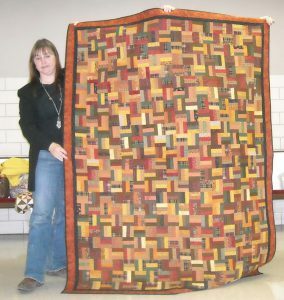 They’re gearing up for a big quilt show in April, so if you’re in the Mexico area then, you’ll have to be sure and check it out. 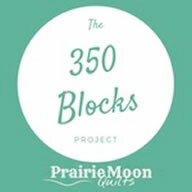 Many thanks to the Prairie Pine Quilt Guild for having me, and for a very fun evening! Boy that assistant is so GREAT! Isn’t she? Beautiful quilts! Looks like it was a great show! Shelly, I think these are great pictures!! You look good as do your quilts!!!! Lucky guild to see your trunk show. How many of those are you bringing to Gruber’s?! I love your pictures! That match the kinds my mind takes when I go to something like this. 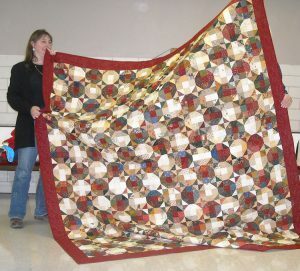 =) Beautiful qults, but I’d have wanted more than an hour to see your 35 quilts! I love your quilts! I got your package Monday. What great stuff! Thank you! 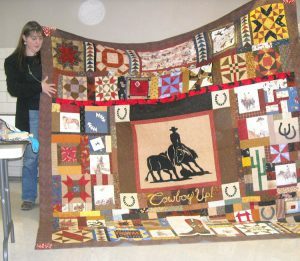 I love seeing your quilts. Can’t really pick a favorite. The pics aren’t that bad. You know we are own worse critics. At least there’s no nose picking or weird eyes rolled up in your head shots. I think the quilts look great and so do you. You look great in all these photos. I love all your quilts, too! Looks like fun! 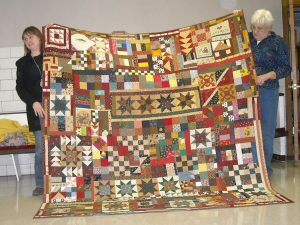 Just wanted you to know how much we loved your beautiful quilts. The work is fantastic on them. 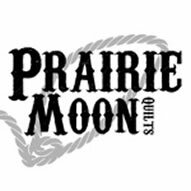 Come back to Prairie Pine Quilt meetings anytime and bring more of your wonderful work. 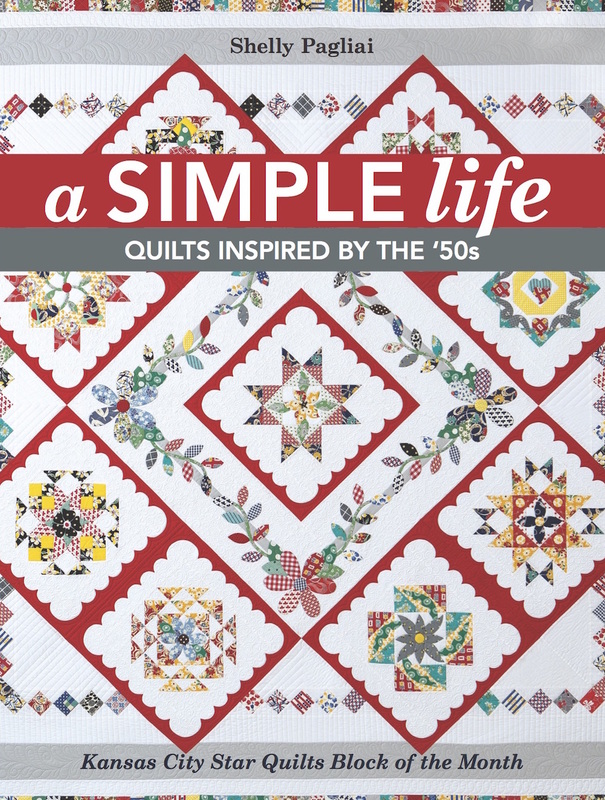 Maybe we will see you at the quilt show in April.